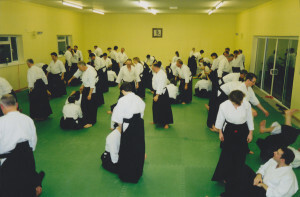 Home » Why Join a Ki Aikido Club? In the Art of Ki Aikido there is no aggression, no violence, no tension and no competition. The purpose of the practise is to learn to co-ordinate our mind and body. Ultimately, we aim to improve the quality of our lives, and the lives of others. The beautiful, flowing, relaxed, and yet powerful, movements of aikido are performed to the students own level of ability. It can therefore be practiced by children, and men and women, equally. Ki Aikido does not rely on size or strength in any way. Classes are suitable for all levels of fitness, and all ages and sizes. Within a Ki Aikido Club, discipline and etiquette are maintained in a friendly and enjoyable atmosphere of mutual respect. Ki Aikido provides a unique teaching method which quickly allows us to discover our hidden, natural abilities. We can become calmer, healthier, more positive and more happy in our daily life. It provides exercise for both our mind and body. If you wish to start Ki Aikido, please contact the teacher in your chosen area. 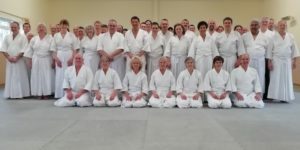 To find a Ki Aikido club in your area please click here.